The Grand National is finally here, and as you would expect for a sporting event so big, there are many bookmakers out there with offers for people who want to sign up to a new account. 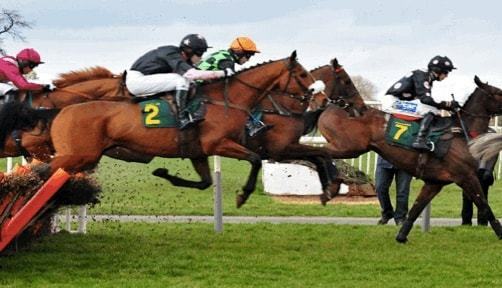 These offers work in different ways, but if you are looking for one that will specifically give you a free bet that you can use on the Grand National then we have found the best of those for you. Here are the four best Grand National welcome offers to use this weekend. Totesport have been associated with horse racing for a long time, so it is no surprise to see them having a good offer on that you can take advantage of ahead of the Grand National. When signing up to Totesport, they will match your first bet with a stake of between £5 and £25, and on top of that they will also give you £10 cashback when you stake £10 or more on the Tote pools during the first seven days of your account. Black Type have put together an incredibly easy to understand and simple offer that both big and small customers can take advantage of this weekend. Their offer is simply stake £10 on any sporting bet ahead of the national as your first bet, and receive a £5 free bet for the sportsbook to use on the national, and a further £5 in casino funds to spend inside the Black Type casino. This offer from ComeOn! is as simple as it gets, and perfect for those who want to bag a free bet ahead of the big race. Simply deposit and stake a bet of £10 or more on any event at odds of 4/5 or greater. Within 24 hours of placing this bet, you will receive a free £10 bet token in your account, to use on any sport you wish. If you are looking for a welcome offer that gives you a free bet that is larger than the stake you need to spend on something else, then this is certainly the one for you. The MoPlay offer requires you to sign up and place a £10 bet on any sport. Within 24 hours of that bet being settled, you will receive two £15 free bets to spend on the Grand National at the weekend.